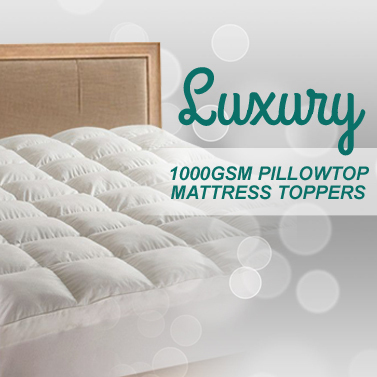 Sleep in luxury comfort with this pillow top mattress topper. Crafted from quality 1000GSM bamboo & microfibre/polyester filling. Available in 7 sizes! Start enjoying better comfort at home and improve your sleeping experience with our mattress luxurious hotel quality mattress toppers. These can work to renew the feeling of your mattress so that you will feel snug and supported in the evening when you go to sleep. Start being able to count the sheep and get into a deep rest when you're warm and supported under your covers. Choose the right size for your bedding needs and find the perfect topper for you. 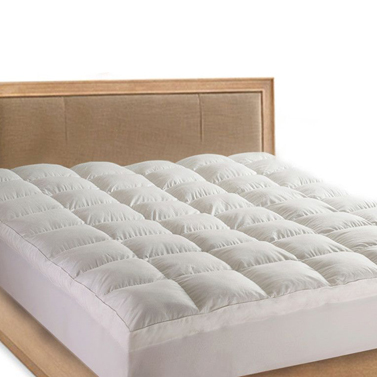 Accommodating all types of mattresses and allergy sufferers, these are treated to be anti-microbial and dust mite resistant, with detailed stitching so that the ultra-soft filling doesn't spread and go lumpy. 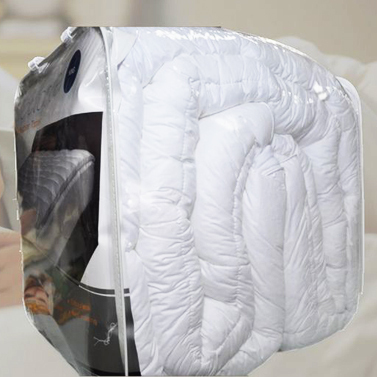 Generously filled and provides great support, upgrade your bedding today at this unbelievable bargain! Absolutely fantastic, we were thinking would have to buy a new mattress but decided to try the Mattress topper. Wow, very gad we did, my husband is thrilled, firms up the bed and very comfortable. Great service from Mydeal!! Excellent quality, very comfortable. This product is great ! This is the second one I have purchased and we all love it. Fantastic I am sleeping beautiful asthma & allergies arnt keeping me awake! Fast delivery! Loved it so much I upgraded my doona! Made 100% difference to our mattress which was too firm. Very happy with my mattress topper, it has made my bed very hard to get out off, also it arrived in good time and very well packaged, it fits the bed perfectly. I was impressed with how soft and thick the topper feels. It fits very snug over the mattress.